Head ‘Back To The Future’ In The 2013 DeLorean! Ever wish you could go time-traveling? 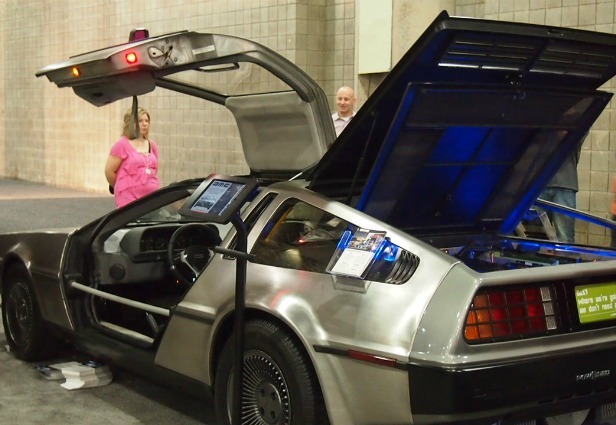 Well, someone must have figured it out because the iconic DeLorean featured in the Back to the Future films has made its way to modern times, more specifically to the 2012 New York International Auto Show. “People still love that movie [Back to the Future] and as younger people see it for the first time, they go online and learn more about the DeLorean,” said James Espey, the vice president of DeLorean. The latest DeLorean still comes with recognizable gull-wing doors, a stainless steel body and a rear-mounted engine. However this sucker is electrical: It features a 32-kilowatt-hour lithium-ion phosphate battery system. 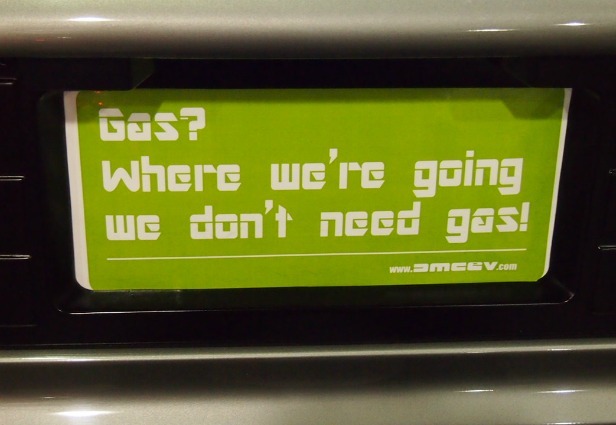 It’s still sporty, too: The car can go from 0 mph to 60 mph in less than six seconds. 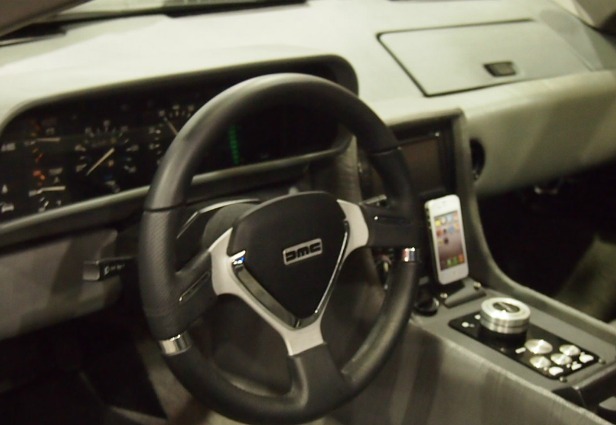 The vehicle also comes with “an iPhone dock, Bluetooth capabilities and a battery-powered engine.” All of that sounds great, but will it go back in time when it reaches 88 mph? The new electric model, worth $95,000, will make its U.S. market debut in 2013. 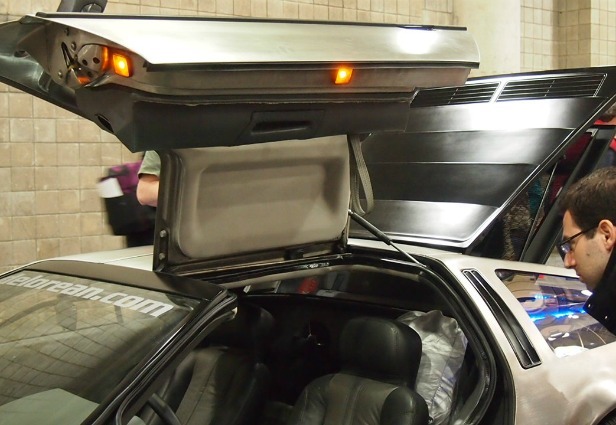 The DeLoreans will start being made in January and be delivered in February or March. Check out more pictures of the vehicle after the jump!